Design|Build remodeling contractor dedicated to the highest level of customer satisfaction. Based in Redmond, Riddle Construction & Design is an award-winning company serving communities in Kirkland, Bellevue and the Eastside. We offer our clients a wide range of home remodeling services from the initial design concept to the finished renovation. Our group of highly talented craftsmen will carry out your project with the finest skills that you expect for your home. This one-stop approach allows us to ensure quality from beginning to end while simplifying the overall process for you. We're proud to be voted "Best Of Houzz" six years running (2019-2014). Here at Architectural Innovations Professional Services, we are proud of our reputation and past performance in residential design and remodeling work. We feel that our firm, Architectural Innovations, P.S. renders a level of high quality architectural services. With Hundreds of Home Plans, Floor Plans and Home Designs - Architectural Innovations brings a unique design approach to Residential Architecture.We look forward and are excited about helping you with your next project! With over thirty years of professional experience as a practicing Architect, John Kappler loves to design places called home. Residences, neighborhoods, and communities are exciting and important for happy and healthy families. Being involved in Residential development is very satisfying for our firm Architectural Innovations, P.S. We are a full service architecture firm; we are ready to navigate you properly through the design process, site development, engineering, and permitting. We are speedy and resourceful; creating your new dream home will be completed before you know it! 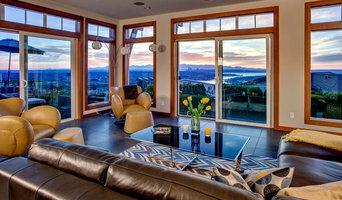 While concentrating on custom residential work, and specializing in integrating all elements of design: interiors, architecture and landscape, Architectural Innovations is recognized as one of the finest architecture firms of custom residences in the Pacific Northwest. Architectural-Drafting-SeattleIn 1988 Architectural Innovations, P.S. was established to specialize in custom residential homes, multi-family projects, planned communities, and user specific commercial buildings. Our firm has significant experience in residential development with over 30 years of architectural experience in the management, design, master planning, and administration of residential and commercial projects. Our staff is energetic, cooperative, and committed to our clients. Our love for residential projects comes from our genuine interest in sharing dreams with people and nowhere is this better exemplified than in building a home. We strive to make dreams come true with the input and desires of our clients as our primary concern. In the Puget Sound Basin alone, Architectural Innovations has provided homes for over 30,000 families. If a custom home plan isn’t what you are looking for, please look through our Floor Plan database at www.KapplerHomePlans.com and see if any of these already designed floor plans matches your ideal home. National award-winning Certified Master Kitchen & Bath Designer, specializing in residential space planning. He is an expert in kitchens with few upper (wall) cabinets. Using his Designed by L.I.F.E. process, Richard designs remodels and homes that look great, work well, and, most important, feel right. His clients' projects have been published over 70 times in national and international magazines. For them, beyond space planning, Richard typically details the drawings for the cabinet shop and designs the lighting. He is expert at working remotely via screen sharing and using digital modeling. Visit his website at www.spaceplanner.com or call (425) 957-0451. 4R Builders is a licensed, bonded and insured general contractor specializing in residential remodeling. 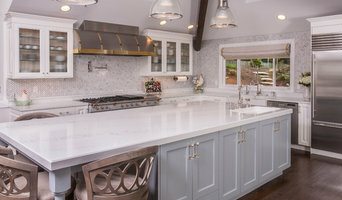 With over 20 years experience in the residential remodeling industry we have developed effective working relationships with a variety of skilled sub-contractors and suppliers to meet the unique requirements of each project. Nazim Nice is a registered Seattle architect in the State of Washington and holds the NCARB (National Council of Architectural Registration Boards)certificate, which signifies that he has met the profession’s most objective standards of competence. He is also certified as a LEED AP (Leadership in Energy and Environmental Design Accredited Professional) by the USGBC (United States Green Building Council). He is currently a principal at Motionspace Architecture + Design PLLC in Seattle where he has practiced architecture since 2000. Prior to 2000 he taught at the Knowlton School of Architecture at the Ohio State University and practiced at NBBJ in Columbus Ohio. Nazim is a graduate from Carnegie Mellon University, and is an Andrew Carnegie Scholar. 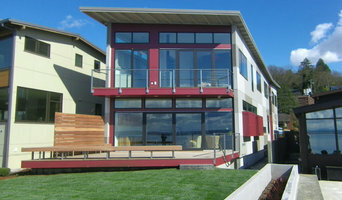 To learn more about his Seattle Architecture Firm, visit <a rel="nofollow" target="_blank" href="http://www.motion-space.com">http://www.motion-space.com</a> for more information. Since 1980, Penny Construction has been dedicated to the building needs of our clients. We consider ourselves “builders”, not “contractors”. We are a bit old fashion; the owner is a carpenter who still works with his tools, on all of our jobs. He has worked hard to become knowledgeable, skillful, innovative, and organized. Doug Penny is a problem solver. He likes working closely with people and understands that to do custom work, one has to be flexible and responsive as the projects change and grow. So why hire a Contractor: We believe that building and/or remodeling a home is a process of turning hopes and dreams into something tangible. Building a beautiful home takes a team of people including; a home owner, good architectural design, good interior design, and a good builder to turn everyone's vision into a tangible product. A builder must be able to communicate with the homeowner, the designers as well as the tradespeople. Each speaks a different language and each has a different understanding of the outcome. The builder gives symmetry, a oneness, cohesion to the dreams and to the reality. Today’s consumer has an almost unlimited amount of information and product choice. Understanding the who’s, the why’s, the what’s and how each piece integrates with and affects the other parts seamlessly, requires years of experience. The skilled, caring, hard working hands of seasoned craftsmen ensures peace of mind and project success. We pride ourselves on making the process a great experience. Our main goal is to give you such wonderful service throughout the process, that you will miss us when we are finished and gone. We want you to be looking forward to having us back, even if it is just for dinner.